The Flex Drum is the ideal modifier for creating soft and broad 360-degree lighting on set or on location with when paired with a Flex 1x2 ft. or 1x3 ft. LED mat. (Light mats sold separately.) The Flex and Flex Drum combination is the perfect solution for lighting table scenes, cyc walls, full rooms, and more. Rolled Flex LED mats precisely fill the entire Flex Drum with a superior quality of light. 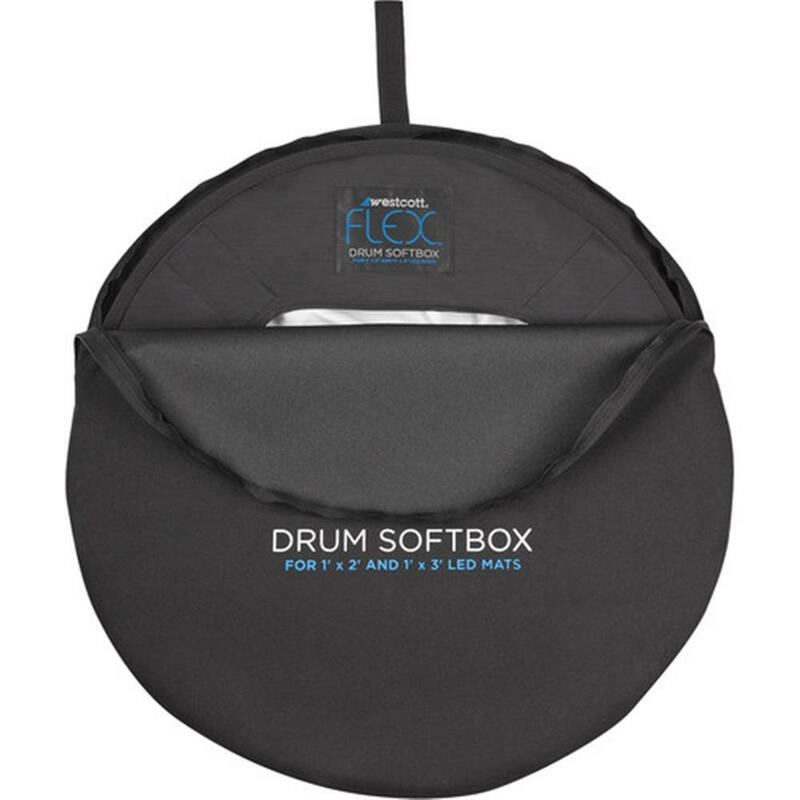 Flex easily mount inside the drum with the built-in hook-and-loop straps. A custom cable entry point makes it easy to keep the Flex's power cable and dimmer accessible. 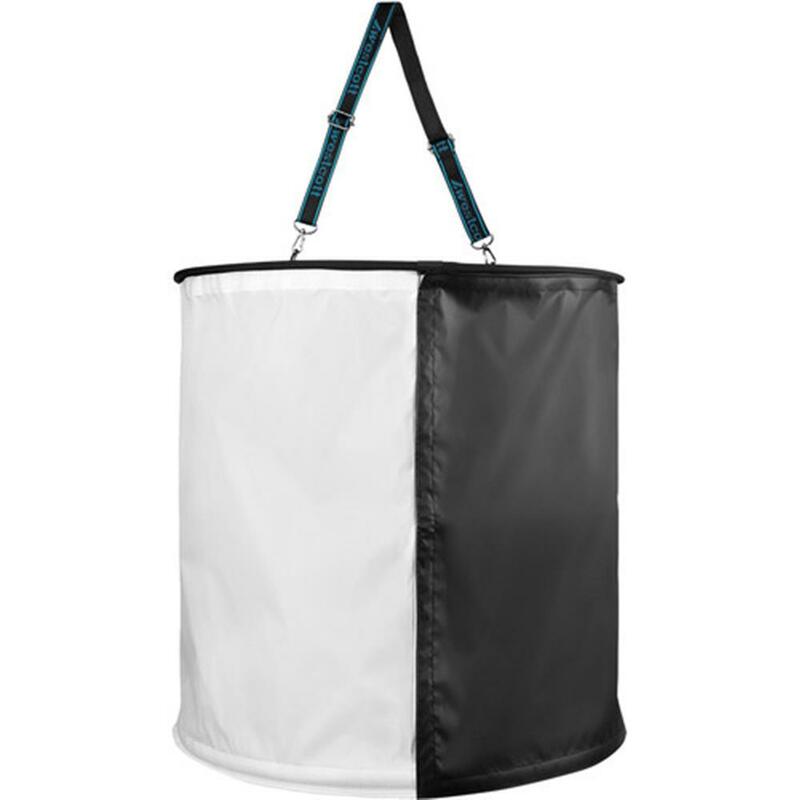 The Flex Drum instantly collapses flat for travel and storage. Its included travel case features durable hardware and a comfortable shoulder strap. Designed with superior 1 1/4-stop diffusion fabric, the Flex Drum perfectly softens and diffuses Flex LED output evenly while maintaining its colour temperature. The included removable black blocks allow for precision light flagging. This block attaches instantly to the drum with its hook-and-loop edging. The Flex Drum's removable and adjustable mounting strap allows for quick and effective mounting to booms, arms, trusses, and overhead rigs. This heavy-duty strap features an interior grip pad to prevent slipping. Weight: 1.0 kg / 2.1 lbs. Use & Care Instructions: Gently spot clean diffusion surface by hand with a non-bleach laundry detergent. Do Not Wash.